Accept donations or let subscribers pay what they want by offering a variable pricing option when they purchase a membership plan. 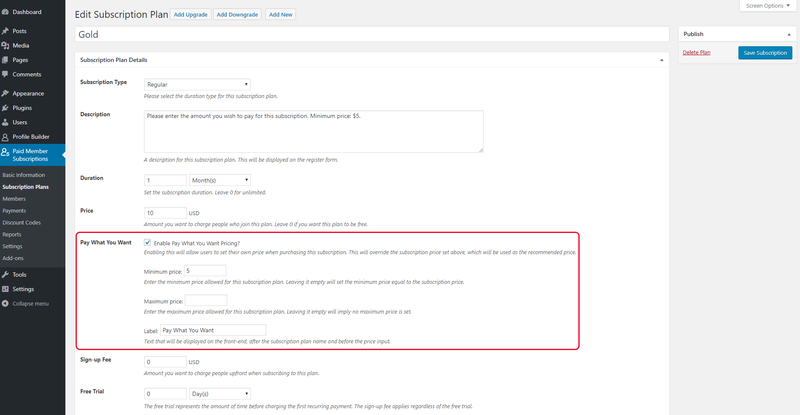 You can use this Paid Member Subscriptions add-on to accept donations or take a “Name Your Price” approach to selling subscriptions. Find out more by reading this documentation for the Paid Member Subscriptions – Pay What You Want Add-on. This is an Basic add-on that is available only with a valid Pro or Hobbyist License.